One of the first questions that couples ask when they think about wedding videos is, “How much will it cost to film my wedding?” This article deals with the costs involved in making a wedding video. Generally, fees depend on several options including the total hours filmed, usually defined by: wedding ceremony coverage, wedding and reception coverage, after-wedding coverage, pre-wedding coverage, and post production editing of the footage. 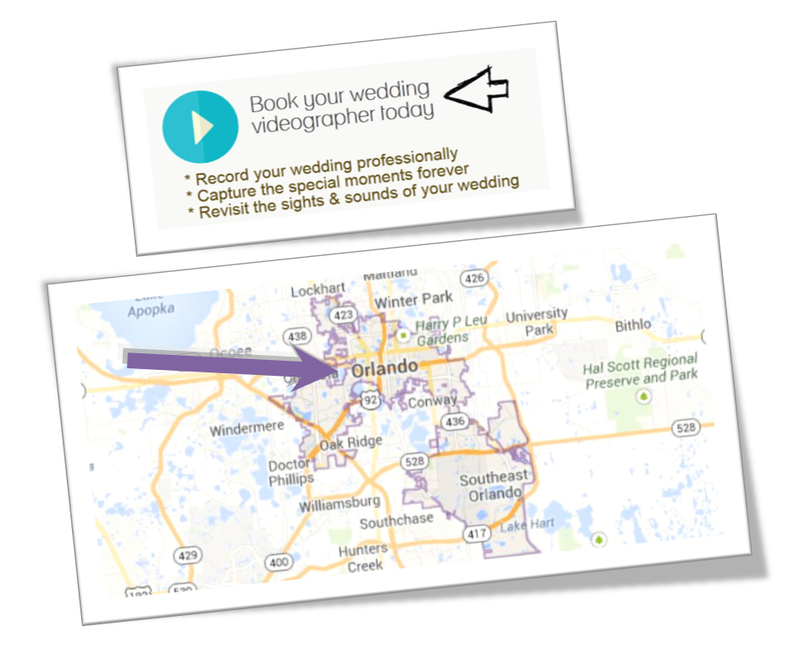 Of course, the question of price also depends on available wedding video producers in your area. WEVA (Wedding & Event Videographers Association International) found that wedding video fees range between $1,000 to $10,000 or higher. This article will attempt to analyze the costs further. Wedding videographers can film a ceremony with one camera and minimal editing for a low fee. The shorter amount of time that it takes to edit footage from one camera and one angle makes the editing process relatively quick and simple. The final one camera wedding video would most likely look like a television news story filmed with one camera with a tripod by a reporter for the average local evening news. Additional camera persons equipped with monopods, sliders, and glidecams can capture the wedding from angles that one person with a handheld camera could not possibly reach. The higher fee range would provide for extras including more cameras, more videographers, more footage for editing, more artistic photographic angles, professional camera equipment to make the cameras “fly, glide, and slide” through your wedding ceremony. Special tripods, monopods, sliders, and glidecams help capture the wedding from angles that a person with a handheld camera could not possibly reach. The higher range of fees would also allow for a larger film crew including sound and camera technicians. Wedding videographers typically provide more expensive packages that cover the entire wedding day. The lower end of the fee range would cover one camera and, like mentioned above, the final video would look like a one camera story on the evening news. The higher end of the fee range would cover a second or third camera, with double or triple the amount of footage for editing post production, and stand alone audio recordings to add to the quality of the sound on the wedding video. The final video would look more like a wedding that you would see on a prime time television program. Film only is the least expensive option. A wedding videographer can film the wedding with their professional high definition cameras without editing the footage. The videographer would film the wedding and provide the raw unedited film on a DVD or on the original camera format. The low end of the fee range would provide for one camera footage with the on-camera audio. The higher end of the fee range would provide additional camera angles, additional camera operators, more artistic shots, and separate audio recordings from stand alone digital audio recorders. The editing of the different video and audio tracks are provided in disks or hard drives for editing later. The final product would include uncut scenes and would lack post production editing of the raw footage. For example, videographers and video editors usually enhance the videos with color correction filters and other filters that make the final video look more like a film than like an amateur video. The application of video filters can take many hours of editing and rendering depending on the number of cameras and hours of footage taken. The above article covers the cost of wedding videos. A single high definition video camera in the hands of an experienced videographer can capture your wedding nicely. However, a larger investment would allow for more film industry tools including additional cameras that provide more artistic angles, digital audio recorders that provide clearer sound, lighting, camera accessories, and post production editing to would make your wedding film more like a movie experience. Just suppose that you could create a wedding video that you both truly loved. Everything you dreamed of. Would you be willing invest $10,000, $5,000, $1,000, or $400 on that wedding video?